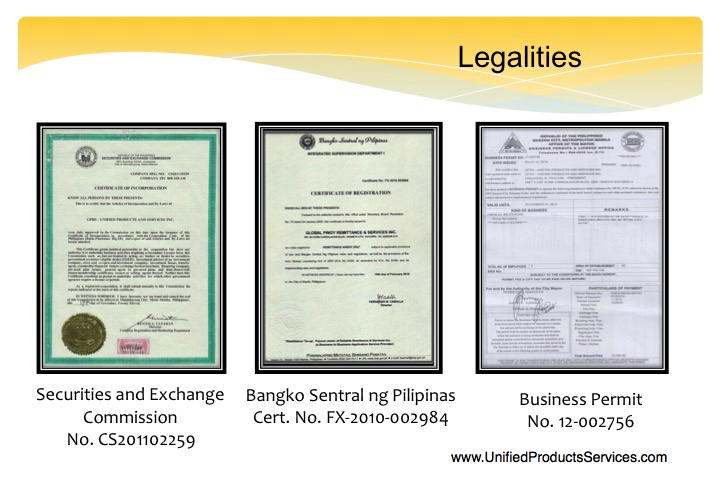 Unified Products and Services Incorporated was established 2011. The company was initially formed as the exclusive marketing arm of GPRS Global Pinoy Remittance Incorporated. 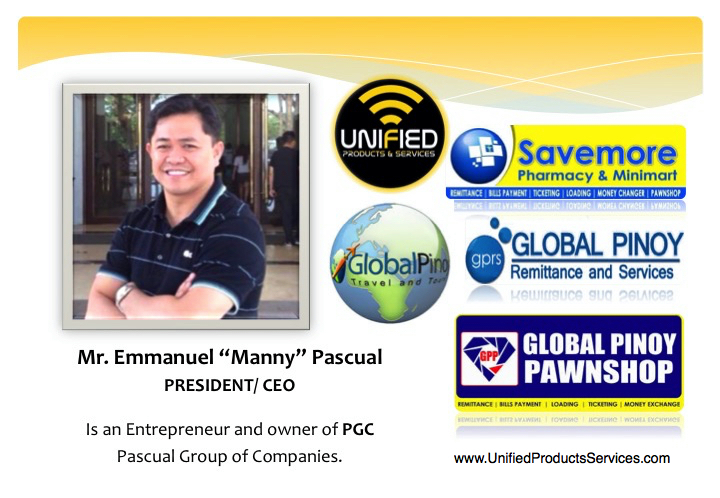 With the phenomenal growth of the company and its proven expertise in non-traditional marketing, Unified Products and Services Incorporated shifted to be an independent Non-Traditional Marketing Company, who caters not only the traditional products but also technology based services such as Remittance, Ticketing, Bills Payments and Universal Loading. The company enshrined in its helm the tenets of Unity, People Oriented, and Service and Products Excellence. To be a world class leader in Non-Traditional Marketing industry empowering the global community in attaining financial freedom and economic stability. • To develop professional non-traditional marketing leaders who will spearhead an innovative marketing plans.